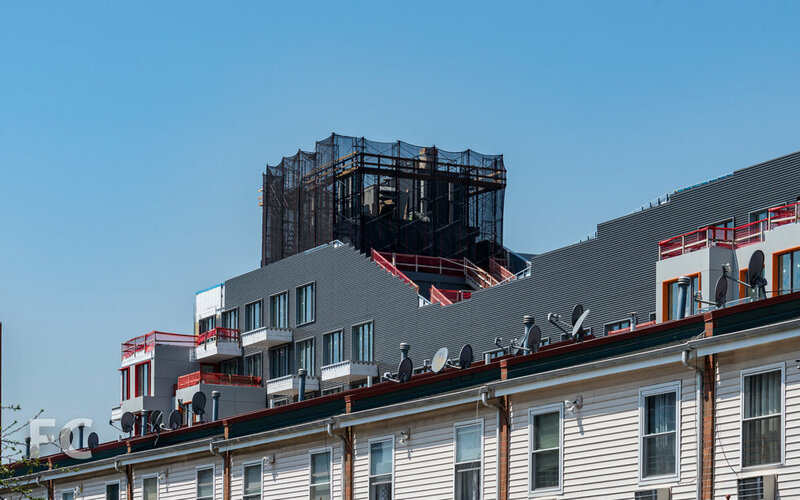 Construction is ongoing at 10 Montieth, the nine-story residential complex from the Rabsky Group that will occupy a portion of the former Rheingold Brewery site in Brooklyn's Bushwick neighborhood. The project is designed by ODA New York, architects of another large residential project under construction on an adjacent brewery parcel at 123 Melrose. 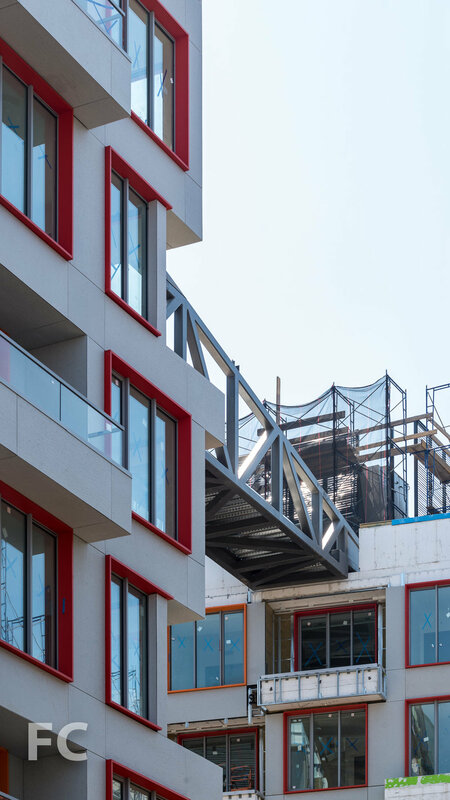 The project's massing is defined by its sloping roof that ramps up and down by several stories over the length of the full-block site. The sloped roof will accommodate a farm, lounge space, and running paths while allowing sunlight into the central courtyards. A bridge at the roof that will span across one of the interior courtyards has recently been installed. A dynamic scattering of balconies and bay windows will lend a further sense of movement to the façade. 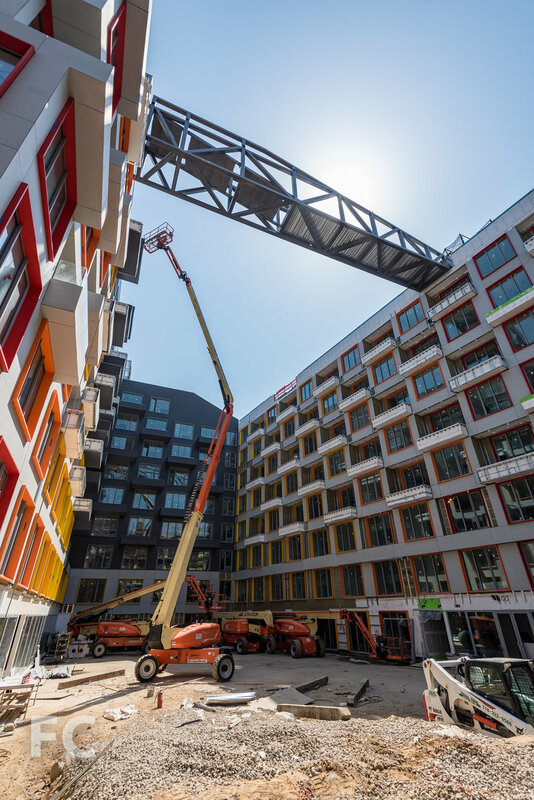 Bridge structure installed at the Montieth Street courtyard. Close-up of the bridge structure. Southeast corner from Stanwix Street. Close-up of the south facade. 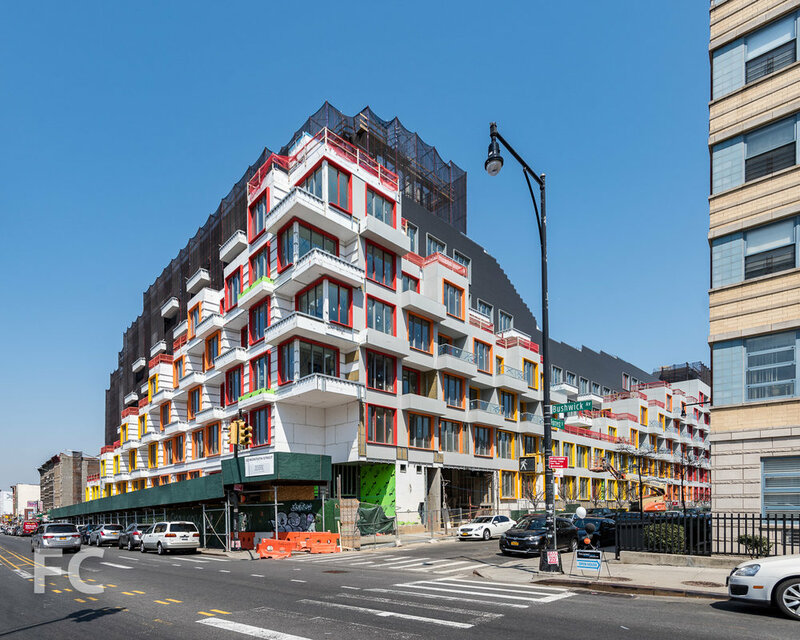 Architect: ODA New York; Developer: Rabsky Group; Program: Residential Rentals; Location: Bushwick, Brooklyn, NY; Completion: 2018.